If you like Angry Birds games but you are a fan of puzzle games then Angry Birds Stella POP is the best game for you. This awesome game has you shooting bubbles to stop the bad piggies and advancing in the levels. 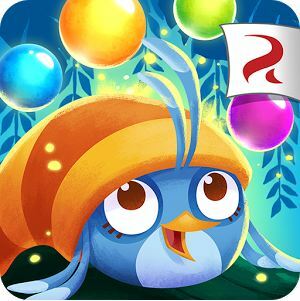 If you are already playing the game then update it to latest version otherwise you can download Angry Birds Stella POP 1.0.16 APK and then install it manually on your Android smartphone or tablet device. The game is very simple and all you have to do is use the slingshot to shoot colorful bubbles and burst the same color bubbles to save the exotic critters and to stop and topple all the bad piggies. The game requires a strategic gameplay so it won’t be as simple as it sounds. Since the latest version is already available from Google Play Store, you can download it from there or get the latest Angry Birds Stella POP 1.0.16 APK for Android and then start bursting the similar color bubbles. The game has become quite popular among puzzle game fans and it has already been downloaded millions of devices so you need to check out the best features of Angry Birds Stella POP for Android and then decide whether you should install it or not. Free to Download: Just like all other Angry Birds games, this one is also free to download and play. However there might be some in-app purchases that you can choose or ignore. Strategic game: Since you have to make sure to burst the same color bubbles, it will grind your brain to do the tough work and to build strategies to advance in the levels and topple the bad piggies. 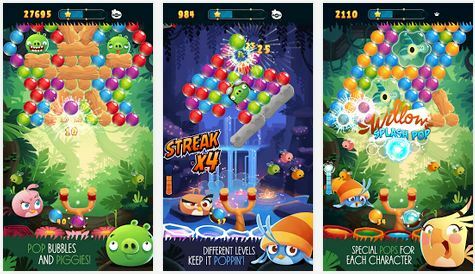 Burst the bubbles: Match and pop bubbles to stop the piggies and save the critters and with the special pops, you will be able to unlock a super-powered bubble. Variety of Puzzles: With a number of exciting puzzles like Drop the Pigs, Beat the Clock and many more, you will never get bored of the game. Other Features: You can explore the Golden Island map and challenge your friends on Facebook app. You can even sync the game across multiple Android devices. You can download the game on your Android smartphone or tablet directly from Google Play Store, however if you want to download the APK file then you can do so by clicking on the download button below. Once you have downloaded the APK file then you can install the application on your smartphone by using one of the best file manager apps and then you can start playing the game. I hope that you liked the post and you have downloaded Angry Birds Stella POP 1.0.16 APK for Android so please share the post with your friends by hitting the Like, Tweet and +1 button below.